In the world of design, whether it be graphic or web, you’ll always have a need to create vector graphics. Of course, there are lots of tools out there to help you with your need, but are they really the best? Today, we’re going to be taking a lot at one of the most robust apps on the market to see if it really lives up to its hype. We’re going to be reviewing Gravit Designer. Many have described it as an amazing alternative to Illustrator and Sketch, amazed by its multitude of features. 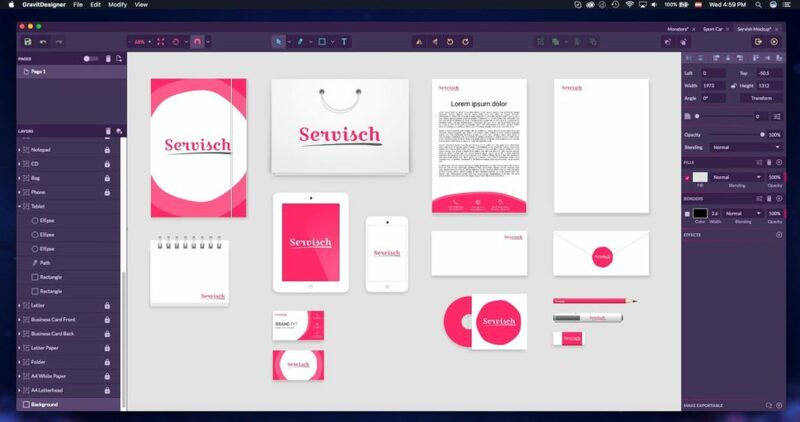 But before we get more into the details that set Gravit Designer above many other designing tools, let’s find out more on our subject today. 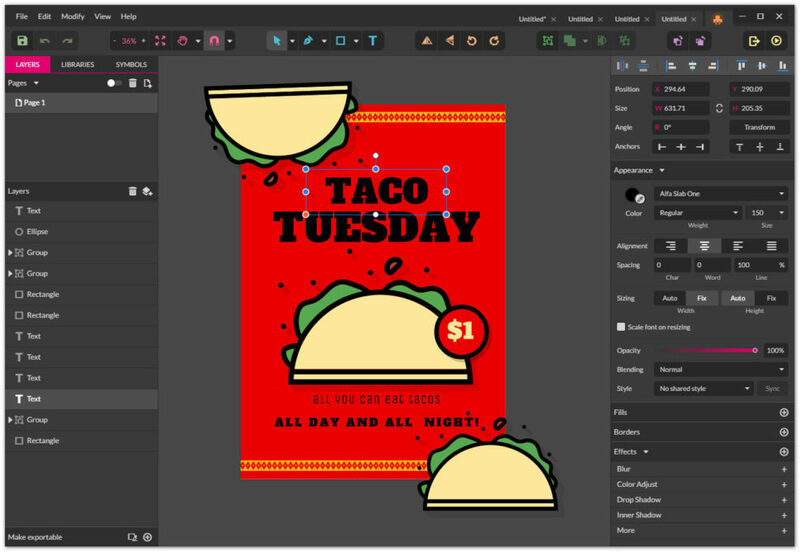 If you haven’t already heard about it, Gravit Designer is a completely free software that gives users the power to create and design icons, presentations, illustrations, prints, apps, and even screen designs. With this program, you’ll have access to a wide range of very powerful tools to help you leap over any obstacle you may come across. 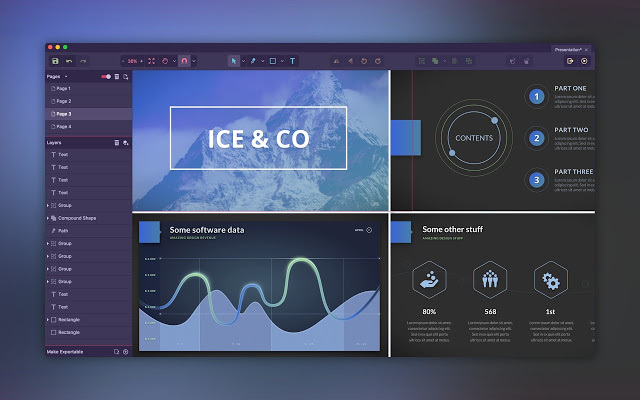 With an impressive toolset that includes UI design, icons, marketing tool graphics, concept art design, and animators, it’s a wonder that this thing is free. To top it all off, it can run both as a desktop application and in-browser, and it runs smoothly on most operating systems. This list is fairly comprehensive, but there are a few other features on the app that are worth checking out for yourself. Even with just the features listed above, Gravit Designer is nothing to shake a stick at. As I mentioned before, Gravit Designer is completely free and offers no upgrade packages. Everything that the app has to offer is 100% accessible by anyone that uses it. The reason price is included in this review is so that we can compare the prices of similar apps. Most apps similar to service and features like the ones Gravit Designer has to offer cost between $ 5 and $ 20 for the mobile versions and anywhere between $ 30 and $ 50 for the desktop application. Now, compare that to Gravit Designer’s price tag of… well, free, and you can’t beat it. If it will definitely remain free and it will never be crippled by the stupid freemium or whatever, then we could offer additional things for equipment that could be paid (since we also need to pay those server accounts) but the Designer will remain free since we want everyone can have access to a professional free design tool. One of the biggest deciding factors when purchasing a vector design tool is seeing how well it sits with other users. As of right now, there are very few, if any negative reviews on Gravit Designer. This is great news for anyone looking for a helpful tool. Combine that with the fact that it’s completely free, and you have yourself a great app. You cannot export to most popular files. This means that you can’t pick up where you left off if you decided to swap to another platform. This can cause massive delays if you need to switch things up. The app changes constantly. With all the attention it’s getting, there are almost constant updates to keep things fresh. This could be viewed as a negative or a positive, however, as it’s always good to get refreshing updates. Since it is free, it does often lack some of the power the other paid programs produce. Again, for a free app, you really can’t be too mad at the features Gravit Designer offers. Ignoring the features, the interface is very straightforward and easy to follow. It makes it difficult to get lost and allows you more time to focus on your designs. Depending on your needs, or if you’re just starting out in the industry, Gravit Designer is definitely worth looking into. I love Gravit Designer because it is a fantastic multiplatform application for vector design. It does not matter if we need to work with vector images, icons, if we want to build a website, a mobile application, or simply create presentations with art concepts. Gravit Designer for Windows is the application that we must install on our PC, and the best totally free and very easy to use. JUAN M.
The best thing about it that it’s free. When you struggle to pay for your tools or get overcharged on cards while still need to complete work for yourself or client, gravit has your back. Paulius P.
Gravit has a modern, accessible UI, and it’s far easier to approach. I actually find it superior to Illustrator and similar applications in this regard. Jeff C.
Gravit Designer is definitely a contender in its category for the best software you can get your hands on. Yes, it does lack a few features that the competing paid programs offer, but considering that Gravit Designer is free, it’s worth looking into. The features that it does offer are very inclusive and easy to use, and the interface is very user-friendly. 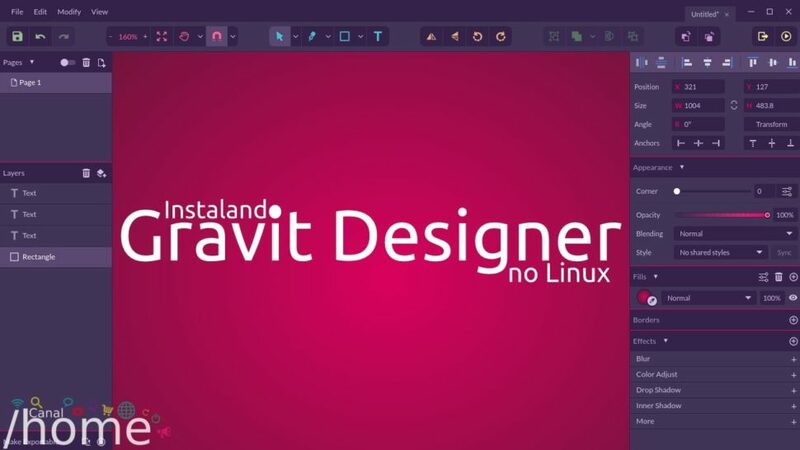 All-in-all, Gravit Designer is a great addition to anyone’s desktop. We would love to find out your opinion on Gravit Design after you give it a try. 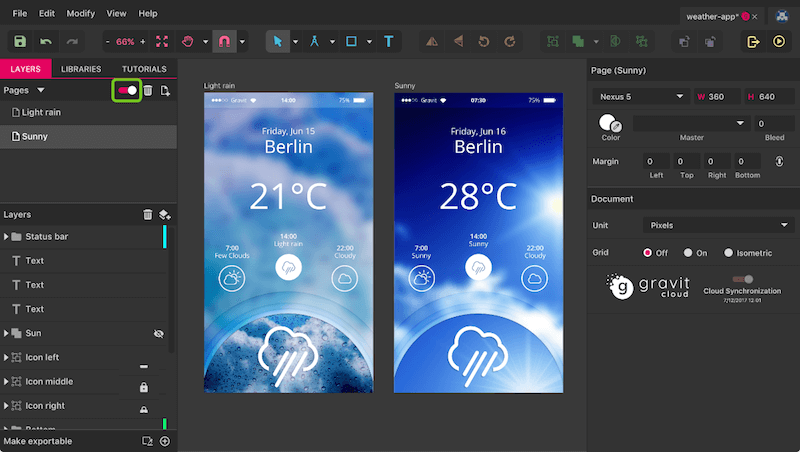 What other weather app design tools do you use? We would love to hear more about it in the comment section below. Also, if you enjoy reviews like this, and want to stay up-to-date with the design world, then be sure to tune into Webdesignledger daily for new and creative content.